You must make reservations at least 5 minutes in advance of the time at Varanese. 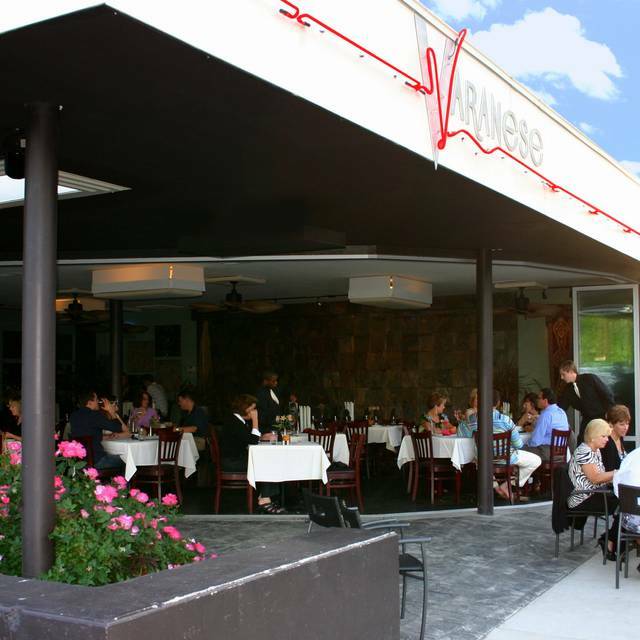 Varanese provides on-premise parking along with additional parking across the street at Nancy's Bagel Grounds along with street parking. Varanese has a TARC stop in front along with a Frankfort Ave. Trolly Hop Stop. Live jazz seven nights from the Jeff Sherman band 6-10pm. Catering is offered depending on Chef Varanese's availability. Call to inquire. Serving Brunch menu from 11:00 am. - 4:00pm. Full menu available all day till 11:00 pm. Very enjoyable. Food was delicious. Server was very attentive. Girls night out. The atmosphere was amazing and the food delicious. The service was a little slow but there appeared to be a larger party that was taking up a lot of our servers time. The other party was also a little loud. 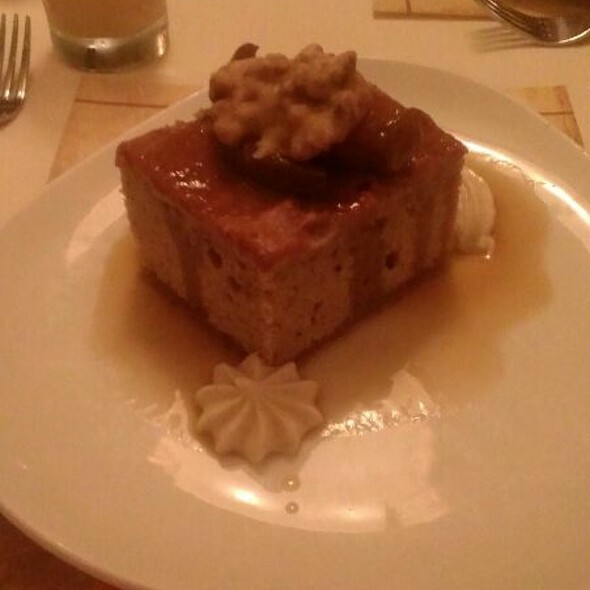 The bread pudding is amazing! I will be back. On the outside it seems as it’s not that “great of a restaurant” since it seemed dark inside and the sign lights were not working. When we walked in, the server seemed as if he didn’t want to seat us since he was closing up, even though it was 10 pm and they close at 11. He asked if we would like to sit at the high stools in the bar and we did. The bartender ended up serving us and she was a delight! She was very nice and knowledgeable of the menu. The food was phenomenal! One of the best meals I’ve had outside. Definitely visiting Varanese again when I take a vacation in Kentucky! Absolutely outstanding. First time there and will definitely go back!! Very pleasant experience. I've been to Varanese a few times and it is consistently delicious and overall very good value. Sometimes it can get a little loud (especially if you're seated near the live music). I had the red snapper, which was excellent. My date was also impressed with her steak. Portions are large, I usually only order a main and don't have any room for dessert (unfortunately). Absolutely will be back! We had a very nice dinner for four last evening. Food and service was excellent. I asked to be seated in a more quiet area to allow discussion and we were put in a smaller room that worked well. My first visit to Varanese. 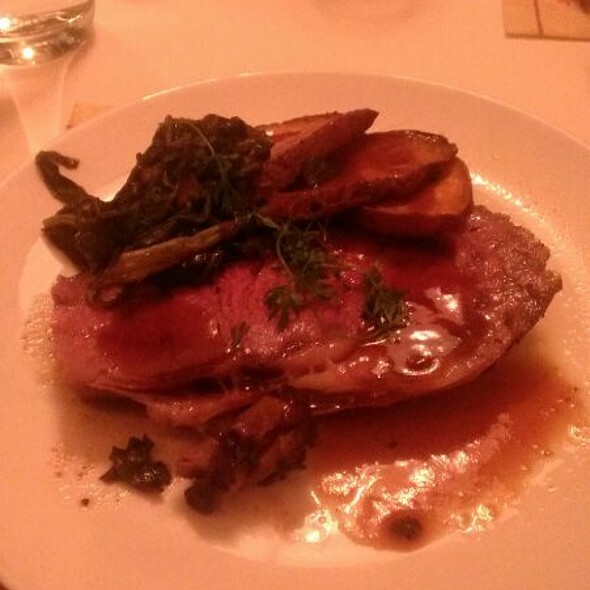 The food was outstanding, prepared perfectly, and service was spot on, not hurrying, but just right. The food was outstanding, but our service left a lot to be desired. Very nice meal at a great restaurant. Prompt and friendly service, food was very good. Crab stuffed avocado was both unique and tasty! Charred romaine salad with chipotle vinaigrette was spicy but very good. Lamb chops well prepared as was Hawaiian butterfish. Will return! One of my favorite restaurants in town. Food is always delicious. Our server was very friendly and attentive. Great service and food. The waiter made great recommendations. 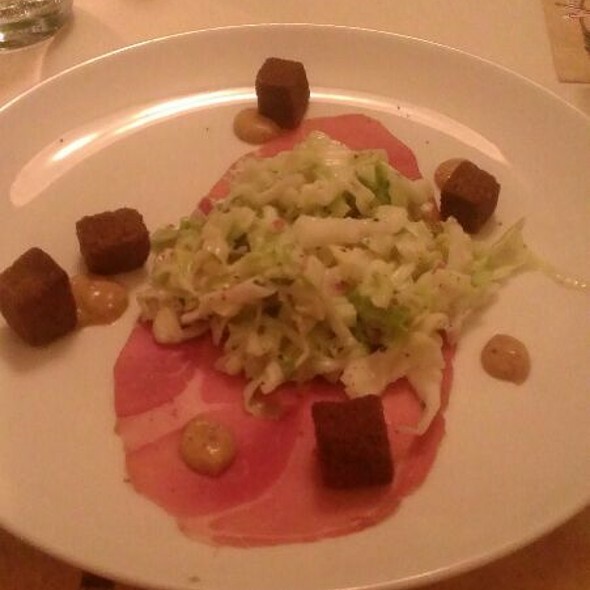 Everything we chose had great presentation and flavors. There was live music the night we were there, 3 guys play instrumental pieces, not too loud, added to the overall great atmosphere. I had oysters and scallops, absolutely exceptional in preparation and taste. The chicken in the Angel hair pasta was hard and dry, tasted like Kroger chicken. All of our other food items were exceptional. I wouldn't hold this against the chef, sometimes you just get a bad piece of chicken and Yes we did! We did not report it to the staff, no need to cause a fuss. She was already full on an amazingly delicious soup and appetizers. Perhaps rethink the chicken source. We gave the chicken to the dog when we got home. 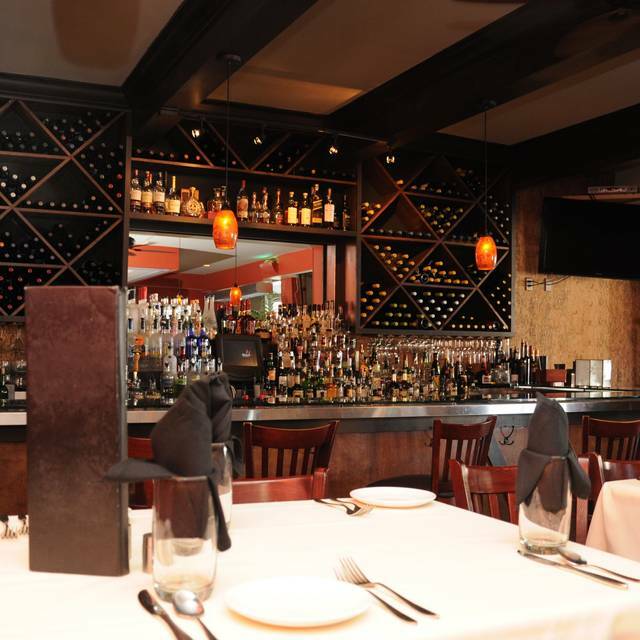 The food, ambiance with live music and service was excellent. Our server made helpful suggestions to our food choices as this was our first time there. This is not my first time and, hopefully, will not be my last to dine here. Always a great experience. I really should pay more attention and not order appetizers and a side order. The generous portions are too much for me. But both the corn chowder and the Brussels sprouts were knockout treats. We enjoyed a delicious dinner in the quiet room up front. Food was absolutely delicious, and the service was great. Don't skip the cheese curds! This continues to be one of our favorite restaurants! Don't change a thing! I was very disappointed in the small room they put us in 3 tables no candle and no flower as the tables in the main room had. If they had told me that that is where I was going to be I would not have gone. The baked brie was AMAZING!! The tortellini and beef tips were out of this world!! My friend had the white bass and loved it. Highly recommended!! Food was excellent! Atmosphere was perfect! Service was impeccable. It’s our favorite place for a reason! Very nice! Great food. My wife and I loved it. Music was a great touch. Unfortunately, it wasn’t great. The cheese plate was greasy and messy. The salmon was tasteless. The server was very nice, but overall we were unimpressed. The atmosphere and service were good. The food, not so much. 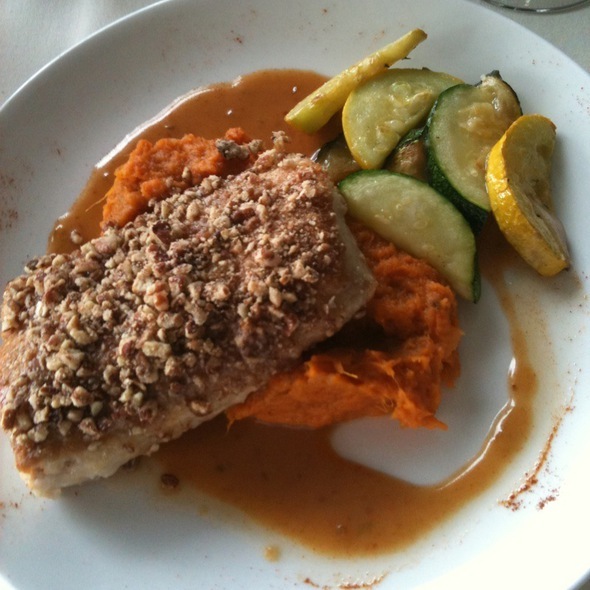 I ordered the Pecan encrusted white fish with jalapeno honey butter and molasses sweet potatoes. I received a piece of fish with a thick layer of nuts (couldn't taste the fish at all), and honey butter atop sugary potatoes...it was sweet, sweet, sweet. There was NO spice whatsoever or hint of jalapeno. It was far from my expectations. The food and the service was GREAT ! I certainly enjoyed the music as well. One of our favorite places in Louisville. Always a consistently good experience from service through food. Had the house Old Fashioned (switched the whiskey to Old Forester Signature) and it was delicious. 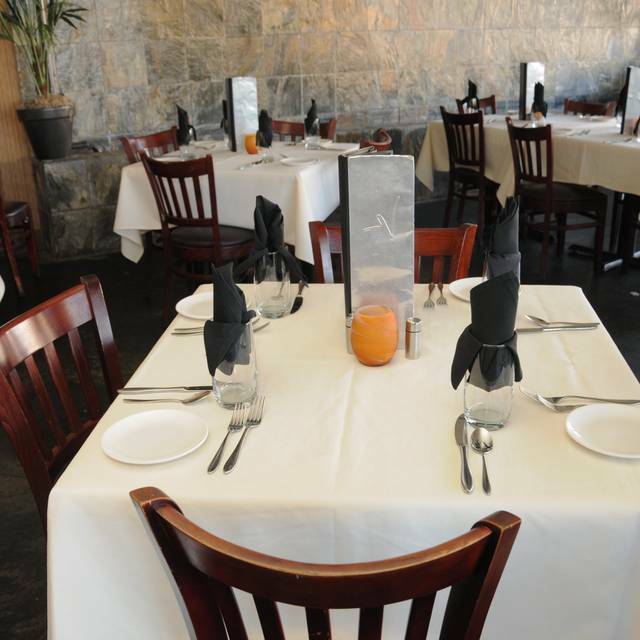 Overall service and food quality where excellent. Noise level from all the hard surfaces very high making it nearly impossible to hear other guest at the table and when live music was playing it was impossible to hear the guest across the table. Probably will not return anytime soon. 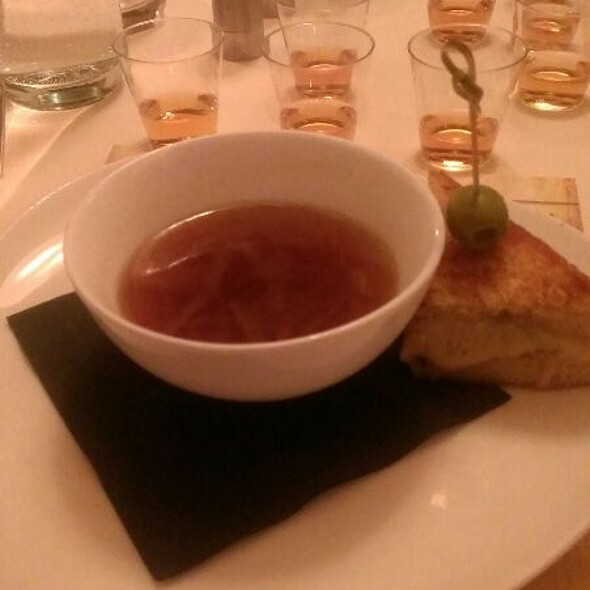 Very good food, tasty version of an Old Fashioned, good service and the two-piece band really makes the atmosphere. This restaurant had great food and service with a varied menu and price points. There is something for eveyone. They had live music in the restuarnt at an apprpriate sound level that was a nice touch. Mason, our waiter, was awesome, great customer service. Food outstanding! The service from the moment you walk in is excellent. Personable servers and genuinely attentive and concerned staff. Parking is limited in their lot but street parking is available for those brave enough to parallel park. We came for our anniversary and were treated like royalty. 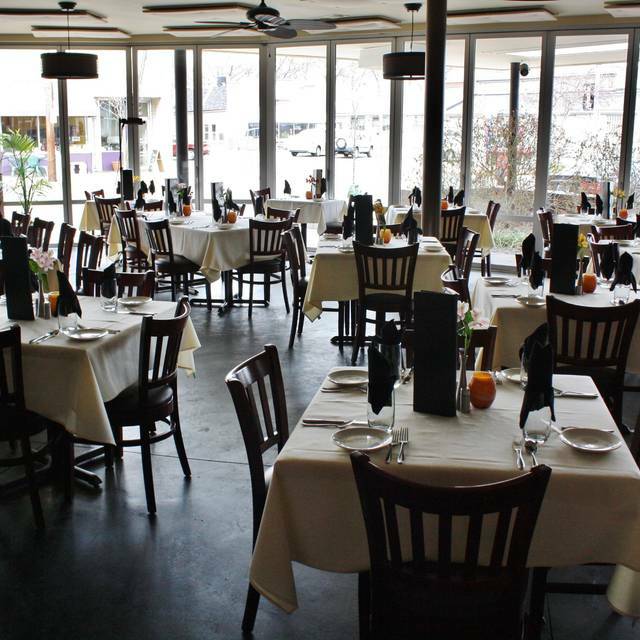 We continue to come back for the food, atmosphere and service. One of our favorite restaurants in town. My wife got the angel hair pasta and it was probably the least favorite meal we’ve had there, but my steak was tremendous as usual and service was great. This was a wonderful dining experience. The food was delicious, the ambiance was perfect, and our waiter was the best we've had anywhere. Our waiter, Jordan, made the experience wonderful. Always predictably excellent. Dined many times with large and small crowds. Never had a bad experience. Good food and service. Great menu selection.